What it means and whether you should enable or disable it. 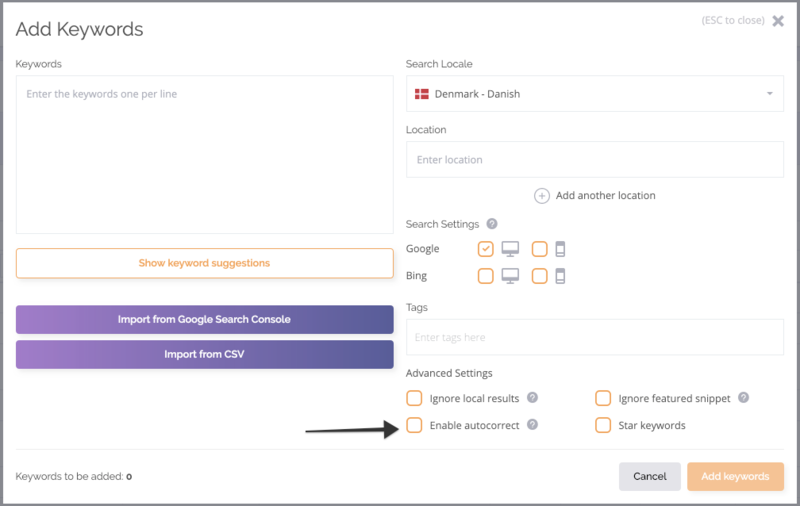 When you are in the menu for adding keywords, you will be presented with the option to enable Google autocorrect. Similar to how your phone will correct letters or sentences it thinks are spelled incorrectly, Google does the same for its search queries. In the example above, Google detects the spelling error and shows us the search results for the correct spelling instead. 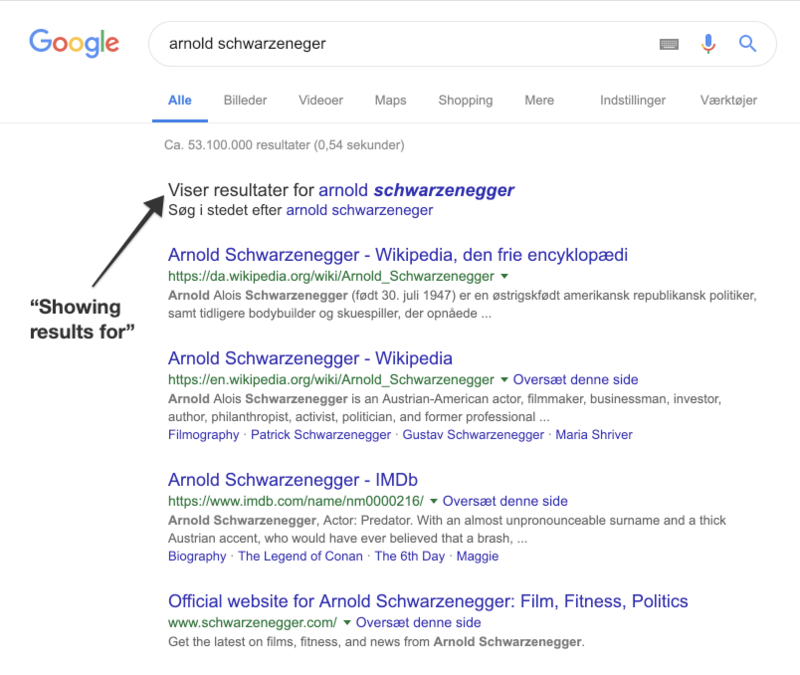 Meaning if you put in "arnold schwarzeneger" (wrong spelling), you'd likely get a different result in AccuRanker, compared to doing the search yourself, as AccuRanker by default has autocorrect disabled.